There is ample parking on the city streets as shown on the map. 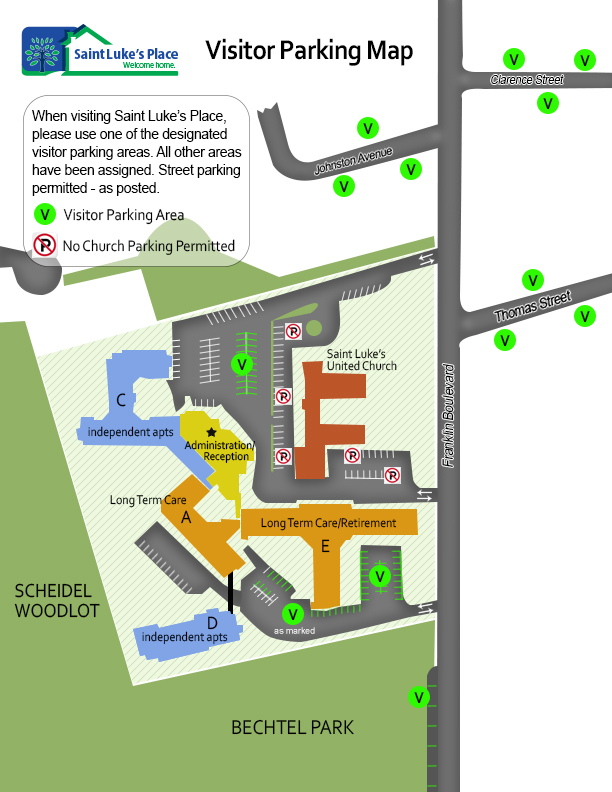 We encourage our visitors to park along the street and enjoy the not-much-longer stroll to our facilities. Thanks for your help. *...and please remember, there is No Parking on Church property.